DAN SPERBER, Directeur de Recherche au CNRS, Paris, is a French social and cognitive scientist. 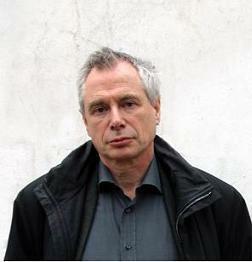 He is the author of Rethinking Symbolism, On Anthropological Knowledge, Explaining Culture. In these three books, He has developed a naturalistic approach to culture under the name of "epidemiology of representations". Dan Sperber is also the co-author, with Deirdre Wilson (Department of Linguistics, University College, London) of Relevance: Communication and Cognition. Dan Sperber and Deirdre Wilson have developed a cognitive approach to communication known as "Relevance Theory". Both the epidemiology of representations and relevance theory have been influential and also controversial. He holds a research professorship at the French Centre National de la Recherche Scientifique (CNRS) in Paris, and has held visiting positions at Cambridge University, the British Academy, the London School of Economics, the Van Leer Institute in Jerusalem, the Institute for Advanced Study in Princeton, Princeton University, the University of Michigan, the University of Bologna, and the University of Hong-Kong.